Why work with textile machines? 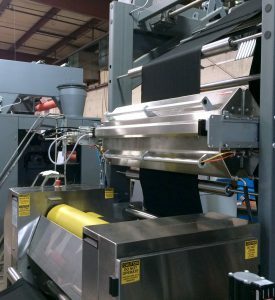 Baldwin Technology Company Inc. is a leading global manufacturer and supplier of innovative process-automation equipment, parts, service and consumables for the printing, packaging, textile, plastic film extrusion and corrugated industries. As a total solutions provider, Baldwin offers our customers a broad range of market-leading technologies, with a focus on improving the economic and environmental efficiency of production processes. Through a global footprint of 21 company-owned locations and an extensive network of partners, our customers are supported globally, regionally and locally by dedicated sales and service team members who add value by forming long-term relationships. Baldwin is privately owned by BW Forsyth Partners, a Barry-Wehmiller company.